There’s something about restaurant-style steak that makes people start to drool. Steakhouses have the steak cooking technique down to an art, and they also take advantage of premium equipment, such as charcoal grills. That being said, if you can’t afford to visit a steakhouse every time you have a steak craving, never fear – there are ways that you can achieve the perfect steak at home. Here are seven steps for how to cook a steak to perfection, just like that restaurant steak you’ve been dreaming about. Contrary to popular belief, you don’t need to spend a fortune on a steak in order to achieve exceptional flavour and tenderness. You could go with a classic filet or rib-eye, or you could venture into the world of underrated steaks that offer great flavour for a fair price. Some of these are feather steak (or flat iron), flank skirt, thick skirt or thin skirt. Whatever you choose, make sure there is lots of marbling visible and no bone. The white fat that runs throughout the meat will keep the steak juicy during the cooking process, and the boneless meat will cook more evenly on the stovetop. You can go pretty much any direction you want with seasoning, but the important thing is that this direction includes salt. Rub a generous pinch of salt into the steak around 30 minutes before it hits the pan and you will end up with a deliciously seasoned steak. Never put a steak directly from the fridge into the pan. By letting it sit on the counter for an hour before cooking, you will allow the heat to penetrate to the middle of the cut more easily during the cooking process. …And not just any pan. For excellent steak cooking results, you need a good cast-iron pan, and it needs to be hot before the steaks are put down. Turn the heat on high and make sure the pan is smoking a little. This ensures a nice, crisp crust on your steak that will give it that exceptional flavour you’re looking for. Though there is some debate over whether oil needs to be included in steak recipes, most choose to either coat the steak in it before it goes into the pan or add a little to the pan and spreading it evenly. The important thing is that the oil is hot – oil that is too cool could make your steak turn out greasy or under-browned. About halfway through the cooking process, thrown in a couple tablespoons of butter and any additional herbs to give your steak an extra boost of moisture and flavour. 7. To Rest or Not to Rest? Again, there is a bit of a debate among steak lovers. 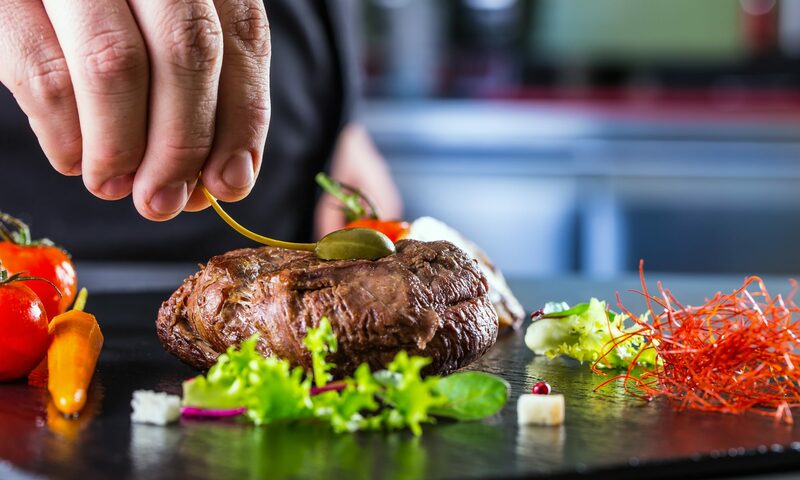 Common cooking wisdom says to rest the steak – just let it stay on a plate and reabsorb its own juices – anywhere from two to ten minutes after cooking. Some, however, argue that a hot steak is better than a rested steak, as this is a thin piece of meat that can cool down quickly. Ultimately, it’s up to you to experiment and decide which side of the debate you’re on. If you have followed the instructions up to this point, your steak is going to be juicy, delicious and restaurant quality no matter what. Don’t Waste That Leftover Steak!